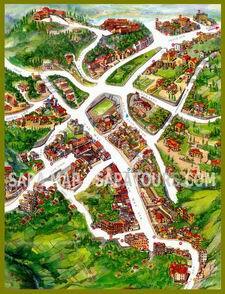 Perched on top of a hill overlooking the valley, The Victoria Sa Pa hotel opened in March 1998. 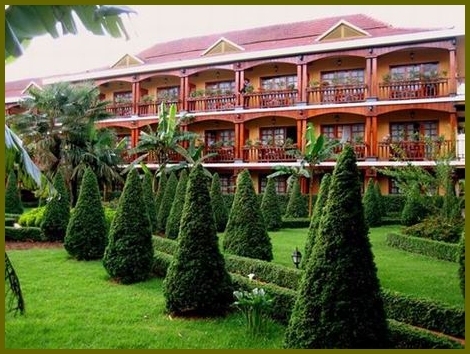 Its fine accommodations provide an excellent place to relax or to stay when visiting Sa Pa. 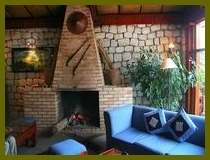 Built as a traditional mountain chalet with accented wooden decor and a welcoming stone fireplace, The Victoria Sa Pa hotel overlooks the village, blending perfectly with the natural surroundings. The location & services have been carefully planned to allow guests to experience something different and unique, in close harmony with nature and the local hill tribes? people. The scenery is a spectacular combination of jungle with rural terraces and rich areas where the native inhabitants harvest their crops.. The Victoria Sa Pa Hotel features 77 cozy rooms, including 2 spacious suites and 2 six-bed studios on the upper level, each with a balcony offering breathtaking views. 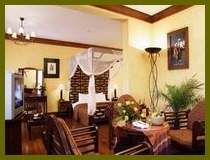 Each room combines the elegance of traditional handicrafts and the comfort of an international hotel. Each guest room features a ceiling fan, heater, IDD phone, satellite TV, in-house movie, mini bar, in-room safe and coffee/tea facilities, bathroom with hairdryer (deluxe rooms/up). 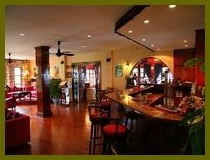 Superior: 20 spacious rooms at garden level, feature comfortable sitting areas with sofa & writing desk; 25 m2. Deluxe: 53 rooms at second and third level feature a balcony, with sofa, overlooking Mount Fan Si Pan; 25 m2. Suite: offer a living room & a bedroom with en-suite queen size bed; large balcony, Mount Fan Si Pan view; 50 m2. 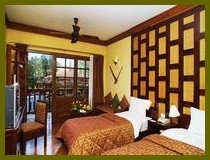 Family Studio: 2 large rooms with 2 bedrooms: 1 with a queen bed & other with 3 single beds for family stay.